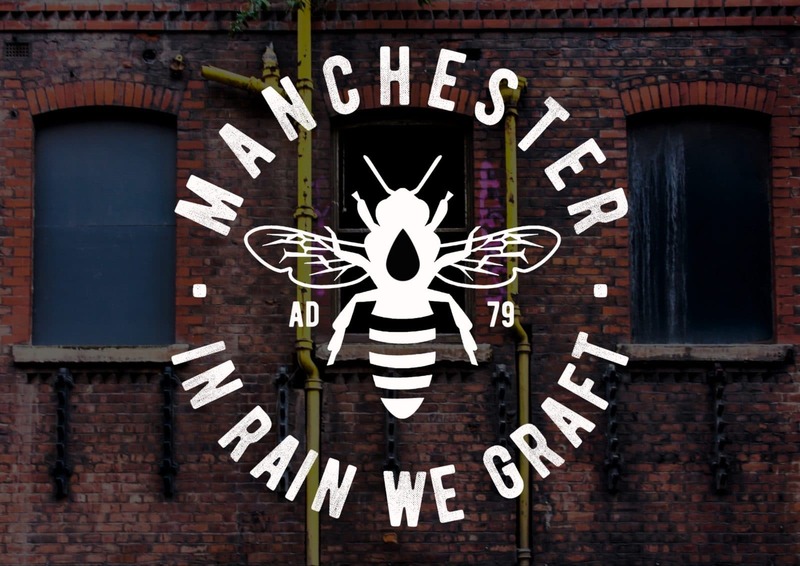 I put the design out onto social media and found that many of my Mancunians friends and colleagues appeared to like it. From there I went on to print and sell around 30 or so t-shirts featuring the design, for friends and family. I quickly realised that I had unwittingly crafted the perfect opportunity to build a brand and business that sells my design! Within one month I had created a brand name, logo, registered a domain and built a Shopify e-commerce website featuring 9 designs sold on over 120 products including clothing, prints, keyrings and bags. 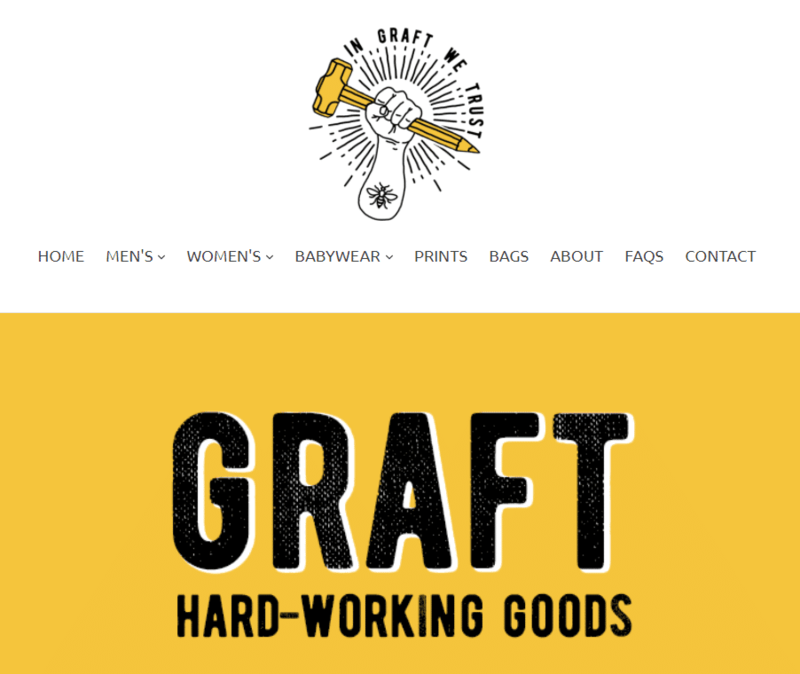 GRAFT.shop was born! I, personally, find that I can get stuck in my ways and rarely flex my creative side when working on Profoundry projects. GRAFT gives me a creative outlet where I can play with design and product ideas with very little risk due to the drop shipping setup of the business. I think its really important that as a marketer and service provider, I understand what my clients are going through when they are setting up or running an e-commerce business. You can very quickly lose touch with that side of things when you are constantly marketing businesses and products. This was the perfect opportunity for me to learn from building and marketing an e-com business. GRAFT gives me a personal project to experiment with the techniques/skills I sell on a daily basis. I can test and trial new platforms and marketing techniques before launching them to my service offering. I can also better sell these techniques if I have seen them work for me. The beauty of a new personal project is that it gets you out there looking for suppliers to fill the gaps in expertise. For GRAFT this included graphic designers, site developers, animators, printers and manufacturers. I have built up a solid network of go-to experts that I can call on for GRAFT or future Profoundry projects. Although GRAFT is not meant to make my fortune, naturally, any new business is ultimately there to make money. GRAFT is funded directly by Profoundry and is setup to be a viable business and make profits wherever possible. Over the last 6 months or so I have felt that I needed a new challenge that helped me better myself as a marketer and consultant. Something that directly or indirectly improves my skills and challenges me more than my day to day business does. Manchester is a city on the brink of greatness but has its problems and hurdles like any other city. If GRAFT can give me all of the above AND give something back then I feel I have really created a solid business offering. I am in plans with Forever Manchester to donate a % of sales to their charity for every Manchester related product that sells through the site or in person. So the site has been live for just under 3 months and sold just over £700 of stock. What have I learnt in building GRAFT and the time since launching the business? The idea was that this is a small side project that demands very little of my time. But when I feel passionate about something I tend to let it take over my life a bit. I think managing my time on this would have been a good idea. Allocating specific sprints of work to get done by certain days probably would have been a good idea but I must admit I just get caught up in wanting to get something done and lose track of the time I am spending on it. It was meant to be a simple website selling a handful of products but as I started to build the business I realised I wanted a business that felt established and genuine. The brand name, logo and website could have been thrown together very quickly and in a basic format that probably would have been sufficient for a small personal project. But when I start something I demand a certain level of quality, particularly if it is something that represents me. So the process of choosing a brand name, domain, creating a logo and building the visual side of the site took a lot longer than planned. Saying that I had all these done within 1 month of coming up with the business idea. Bearing in mind I have yet to setup and proper advertising campaigns for GRAFT, the power of organic social media has been astounding. I have been fairly active on Instagram and Twitter with GRAFT and really seen the power of the right content, to the right audience leading to shares, engagement and direct sales. This really emphasises the importance of social media as a selling platform and a platform to get feedback on your products or ideas. It has been really interesting tracking sales back to their source and finding that 8 times out of 10, someone has bought because a friend, family member or colleague tagged them in a post or told them about my products. This is something I have found a lot in selling marketing services but was surprised to see how often it was the case for an e-commerce business. During the process of building the website and shop I did an export/import on Shopify that screwed up leading to me losing over 5 hours of work. There isnt something I could directly do to stop this happening as it was an error in Shopify’s system, but if my site had been fully backed up in a third party service I could have saved quite a lot of time/work loss. I am not a big fan of Photoshop despite recognising its capabilities and creative tool power. I have always found it fairly illogical and has too many options for my needs. I wanted a more user-friendly software for creating the designs and templates for GRAFT. I came across PicMonkey and did a trial of the software. It offers exactly what I need from a graphic design software and has a central cloud hub where all my designs and templates are saved which is useful when I work from different computers a lot. From the very start of this new business idea, I knew that I wanted to keep things logistically very simple. I did not want this project too heavily impact on my day to day running of Profoundry. So the only way to ensure this was to find a drop shipping provider with Shopify compatibility. I did a lot of research and found a company based in Blackburn (relatively near me) who could provide the products, printing and postage fulfilment. The bonus was that they had developed an app for Shopify that linked the website up to their fulfilment system. The process of setting up the products and templates did take many many hours but once I had a process in place it ran smoother. So after much trialling and ironing out issues, this is my best solution for the moment. I hold no stock and every order goes directly through the website to them with no involvement from me. Using a drop shipping company who offer a choice of tens or hundreds of items is great, but it makes actually choosing the stock to print onto quite tough. To ensure the quality of my chosen items (t-shirts etc) were up to scratch, I used the Amazon Prime’s service to order various clothing items from different manufacturers, get them delivered swiftly, test them for quality and then return them for a full refund. This meant I could be confident in the quality of the items without wasting money in lots of test items. Anyway, there is a brief insight into my journey thus far. Do go and check out my GRAFT e-commerce store and let me know if you have any feedback or do order any items.